Chain positioning assembly, 12 links, #136 (2 1/4" opening) snap, no swivel, and two #74N locking snaps. 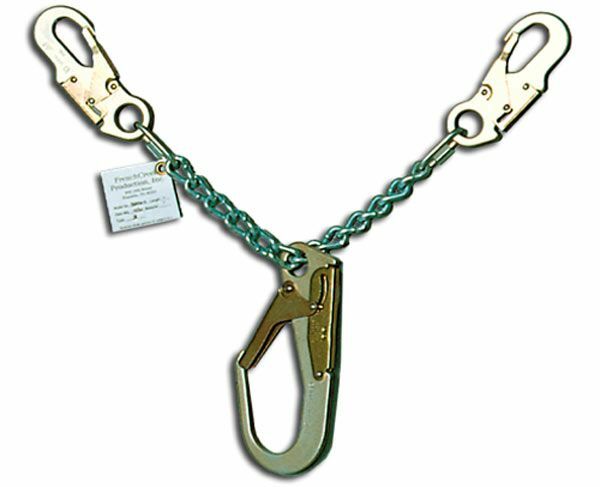 These FrenchCreek positioning and restraint lanyards are used in situations to limit free fall distances to 2' or less. They quickly connect directly to rebar and other construction forms and structures. Choose between chain or webbing, non-swivel and swivel. To order "Z SERIES" compatible products, simply add a 'Z' to the end of the product # in which you are ordering.